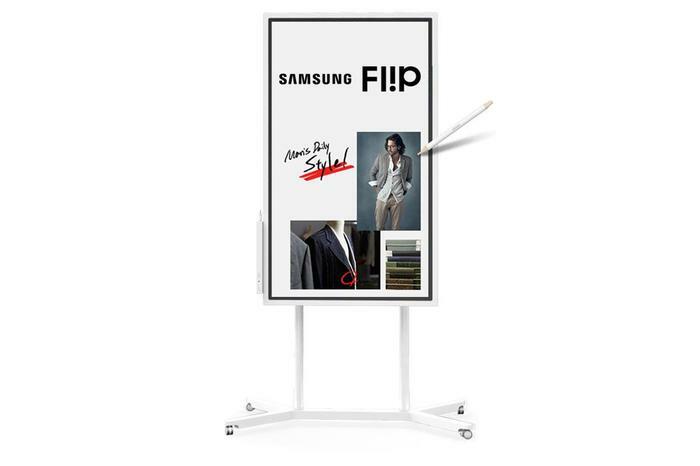 Samsung has announced Australian availability for Samsung Fl!p, a new interactive flip-chart display that promises to enable employees to collaborate more efficiently. According to the company, the release of Fl!p in Australia forms part of Samsung’s long-term vision for developing interactive workplaces of the future. “We believe Samsung Fl!p will further promote digital collaboration within businesses in Australia. It’s ease of use will drive impactful and efficiency in workshops and meetings through an easy-to-use interface and flexible connectivity,” said Claudio Cadile, Head of Professional Display Solutions, Samsung. Up to four users can write directly on the screen at the same time, using either their fingers or one of the two provided dual-sided pens. Each can customise his or her own handwriting style, size and colour, with each notation made clear and visible in UHD resolution. For added ease of use, Samsung Fl!p also offers extensive device compatibility through wireless connectivity, USB, PC and mobile ports. An integrated screen-sharing function makes Fl!p content available on connected PCs, compatible smartphones and tablets with minimal interruption. Users can also import content from a compatible personal device onto the display’s screen. Each Fl!p display can be rotated to portrait or landscape orientations to suit meeting needs. Coupled with its pivot stand, the Fl!p maximises available writing space at users preferred positions. Should a meeting require a more centralised, round-table discussion, users can also connect the Fl!p display to a compatible wall mount.